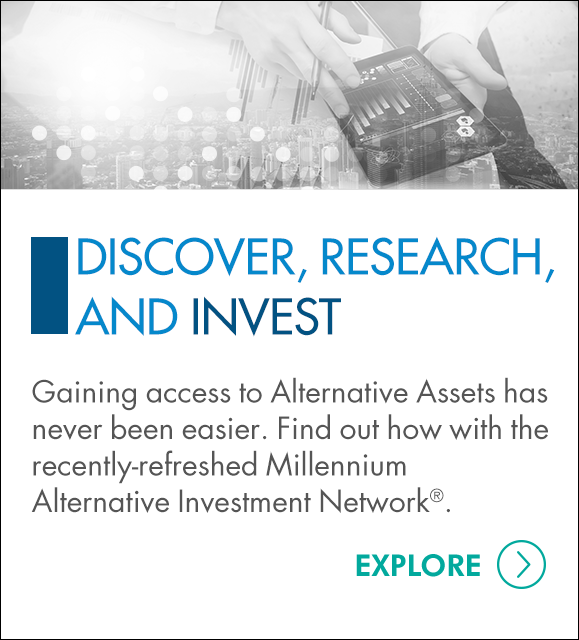 Oak Brook, IL, June 25, 2015 – Millennium Trust Company, a leading provider of alternative asset custody solutions to institutions, advisors, and individuals, announced today that assets under custody for private funds have surpassed $5.6 billion as of June 1, 2015, an increase of $600 million within the last six months. The firm’s total assets under custody exceed $13.5 billion. The Private Fund Custody service is designed to provide registered investment advisors with the specific custody and reporting services they may need to comply with the Securities and Exchange Commission’s (SEC) Custody Rule 206(4)-2 under the Investment Advisors Act of 1940.